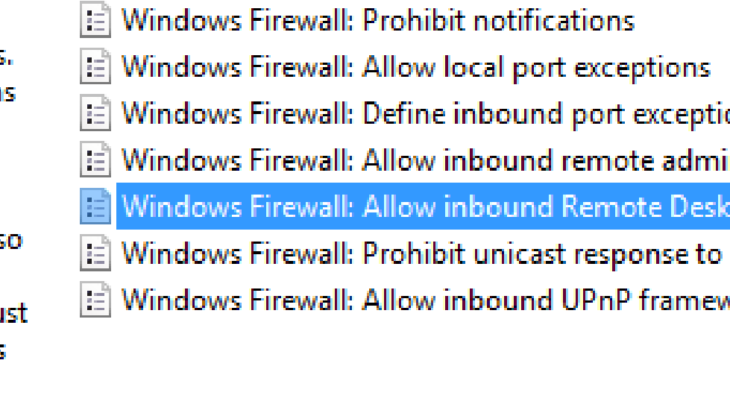 Why is there a DENY rule for Remote Desktop in Windows Firewall with Advanced Security? So this was a weird one. Remote desktop stopped working on client machines. Troubleshooting led to a group policy Block rule in the Windows firewall but there was no such GPO setting.